Sleep is important. There’s so many people who wake up without proper rest, which makes them under-perform at work, learn slowly at school and more.It’s not just about working or learning either; poor sleep can ruin your body’s health as well, while also contributing significantly to reduced mental agility, social adeptness and more. 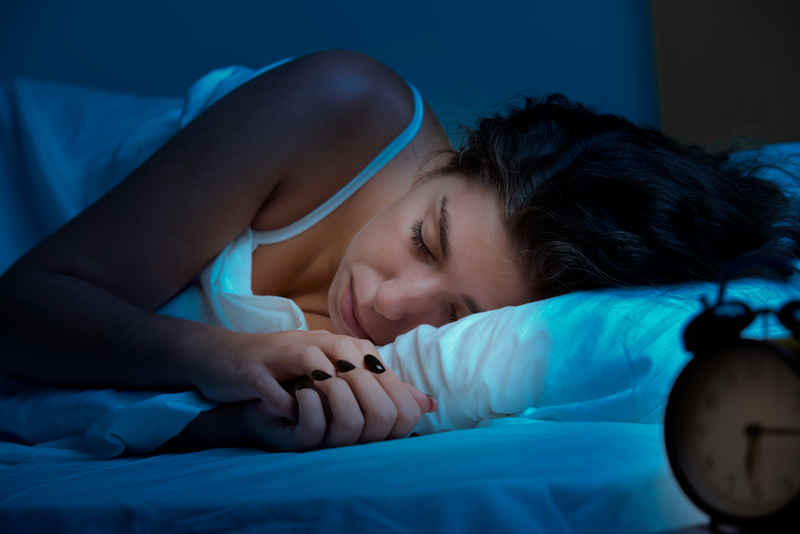 Plus, did you know that poor sleep can up your risk of heart disease and stroke? “But, I’m sleeping a good 8 hours!”, people respond. Well, it’s not just about how long you should sleep, but also about the quality of sleep you manage to get in that time. So many people sleep poorly and end up ruining their lives. To avoid that, you need to know what you’re doing wrong while sleeping in order to rest yourself better. And there’s a lot of problematic habits people adopt or are conditioned to live in that can harm their sleep time. We can’t cover all of them, though you certainly should talk to your doctor about these (it’s always better than what the internet will ever tell you). But here is our list of ten common sleep problems that we think could be harming you and therefore you should avoid. And we’ve put a TL;DR at the end, just to make things easier. Please note that we are in no way sufficiently qualified to give you medical advice. It is a good idea to take a print of this blog post and take it to your doctor, who can then advise you on the proper course of action in case it is genuinely a problem. Keeping a bad posture is not just a problem while walking or standing in queues, or working at your desk. There’s a proper posture to maintain while sleeping as well. It is true people shift in bed while they’re sleeping. There’s the classic fetal position people can sleep in, with the spine curved and feet tucked in. There’s the running man, with one leg sprawled across the bed, torso sideways or downwards, and one or both arms close to the face or stretched out. And then there’s the classic millitary man, with arms and legs in a straight line, also known as the log position. All three have their advantages and disadvantages, but what you should be watching out for is if sleeping in them makes you feel more comfortable and hence more rested or is it reducing your ease in bed. Then, there are the absolute no-nos, like having legs or the hips upward. Watch out for your pillow thickness. If it is too much, you’ll feel a strain on your back and neck, and might experience pain in these parts as well as in your shoulders, upper arms and head too. The result of a proper posture is a low center of gravity of the body, which helps keep you relaxed. Also, the spine should be in a straight line as much as comfortable. If your lower back is too raised, keep a small pillow under your knees if you sleep in the log position. Erratic sleep is a major reason for loss of sleep. The result it has on your rest period can be devastating. Proper sleep depends upon healthy routines of going to bed and waking up. Even if you have the day off, it is not a good idea to sleep in. Even more important is to go to bed on time. This is especially important for people who work out; sleep is the time when your body rejuvenates worn out muscle tissue. So basically, when you’re sleeping is when your muscles really grow, and not while you’re pumping iron at the gym. It is vital to sleep and wake up at proper times. Go to bed at the same time every day. It should get to a point where you see the clock strike say 10, and you begin looking for a bed to lie down in. the same holds for waking up. You should be habituated to waking up at the same time everyday. Don’t hit snooze; hitting snooze is your mortal enemy. It can be hard for people who have night shifts, for example, to hit the bed at the same time everyday. But it can surely be managed. Power naps certainly help. Dimming the lights is essential to getting proper sleep. It doesn’t sit well with your brain to be resting when there’s light outside, which is processed by the body as daytime. In fact, studies show even a little bit of light to be distracting and counterproductive to proper sleep. And there is a lot you need to do to stop that little light. 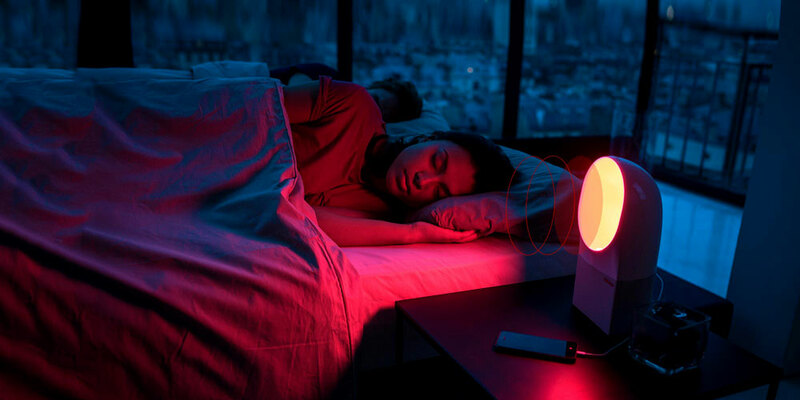 Primarily, it is the lights closer to the higher frequencies that trouble the mind while sleeping. Switching off lamps and nightlights is an obvious step to consider. Apart from that, there is a lot of stray light that enters our rooms. Drawing the curtains certainly helps. Switching off electric appliances like coffee makers, TV sets or others also helps, especially ones with the sharp blue or white light indicators is also beneficial. All of these create ambient light pollution, which can disturb you while sleeping. If you don’t want to switch them off, it can help to cover the lights through some means. If nothing else is available, just put a sticky post-it over the light. You can always pull it off when using the device! You probably know coffee helps you in keeping yourself awake. What people underestimate is how long that effect can last. Experts recommend skipping coffee and caffeine products 4-6 hours before your bed time. So a morning cup of coffee should be ok, but anything after lunch is probably not a good idea. Plus, did you know coffee is actually a diuretic substance? What does that mean? Basically, it draws out water from your system. That might not sound bad, but the water drawn out from your body has only one place to go; your bladder! If you’re having trouble sleeping well at night, the last thing you need is needing to get up to pee. An interrupted sleep never equals an uninterrupted one in terms of how well you find yourself rested. Although, there’s a trick many are known to employ to sleep better. Another effect coffee produces, perhaps the one most ardently chased, is the relaxation it produces in the mind and body. That effect dominates the one that keeps you awake for about an hour. Having a cup of coffee right before bed is therefore believed to help you sleep better. But be sure to try this on a weekend before making it a routine; in case it doesn’t work for you, you don’t want to spend the night staring into the darkness. “Really? 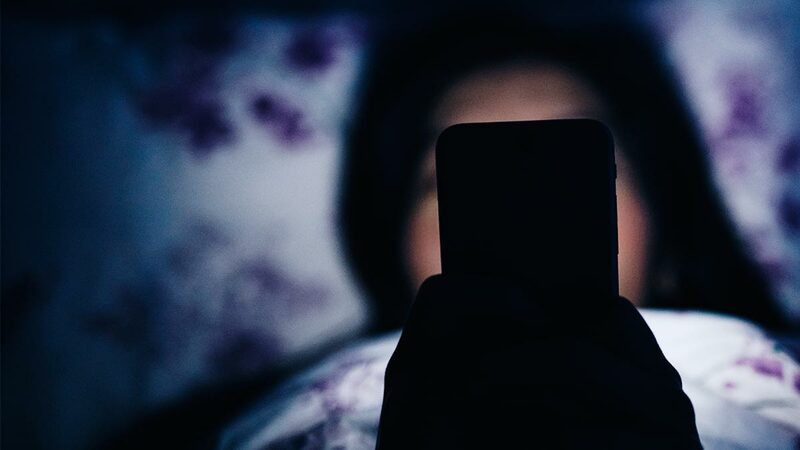 !”, people remark when I tell them keeping their phone at their bedside can make them sleep really poorly. Our cellphones are just so essential to our identities and sense of safety that parting with them for even a little while can be excruciating. Even if you’re not going to be conscious for the next eight or so hours, people don’t want to part with their phones. And that is verily the problem. We’re constantly on our cellphones, whatever be the time, place or circumstance. That sort of behavior soon turns into addiction, and our brains become habituated to follow every single ping that emanates from the device. Even when you put it on vibrate mode, the vibrations are pretty salient to our brains as well. And we already talked about notification lights and how they can keep you ill rested in point 3. Keeping your phone in the “do not disturb” mode or Airplane mode can be helpful. But if you really need your phone to be connected to the network and receive texts and calls, keep it in a different room than in which you sleep. If someone calls you, you can always walk up to the phone and attend to the matter. Texts usually don’t need that sort of attention. It’s OK if you fall asleep in your work clothes after a tiring day. But changing your clothes to something lighter, more breathable and more comfortable can really up the quality of rest you get at night. Wearing a tight shirt, tight socks or shoes to bed is really the worst thing you can do to your sleeping body. It’s not just about the constricted movement either. Tight clothing and footwear trap a lot of heat close to the body and don’t let it out as they should. With pockets of trapped heat, your body finds it difficult to relax, given how body temperature decreases for most people while sleeping. Tight clothing also traps in sweat, which can cause you rashes and other skin problems. Plus, being ill at ease, you are more prone to nightmares, since you have a disturbed sleep. To sleep like a baby, be sure to dress like one. Wear loose, airy clothes that absorb sweat and don’t collect heat within. Cotton is the best bet in my opinion, but there’s so many options these days. I’m sure you’ll find something or the other that is profitable. We think sleeping in when we’re tired is going to help us feel more rested. What usually happens is otherwise. Every time i have slept in, I have woken up feeling even more miserably tired than before. Plus, I have to deal with the late morning hustle where i down a bowl of cereal and carry the milk along to catch the train to work on time. The bed is the most seductive mistress that has ever existed, especially in the morning. But leaving the bed and beginning your hustle can help you keep yourself awake, energised and healthy too. A lot of the urge to stay in bed comes from our love for procrastination. But it never really is 5 more minutes. And imagine how much easier it could have been for you had you caught the train that left 5 minutes before! Waking up on time helps you keep yourself motivated to sleep on time too, and we discussed how important that was earlier in the post. So do yourself a favor, and wake up when the alarm chimes in. Have trouble? It is understandable. Many help themselves out of bed using programmable coffee machines that brew a cup at the time you want to wake up. The smell of a fresh cup can be pretty motivating to get out of bed and go about your morning routine. People who have dogs have the best, furriest and the most excited alarm clocks to kick them out of bed on slow mornings (although, please don’t buy a dog just so you can wake up on time; dogs are responsibilities!). There’s a million ways to motivate yourself into monday. Your mattress is literally the foundation of your sleep. It is a shame so many people avoid taking care of it, or just simply forget. The biggest impediment to a proper night’s rest is not having a comfortable or a healthy surface to sleep on. Even if your mattress is brand new, it is important to take proper care of it. At least, one should vacuum their mattress every month or two. Even if the mattress has a sheet and a bedcover over it, it can still have a lot of dirt accumulating in it. Washing bed-sheets and bed covers is not going to take care of it. A dirty mattress need not necessarily have spots or bugs crawling over it. You can also identify a mattress as dirty if it has a stale or unwelcome smell. Many mattresses can absorb moisture and this can promote growth of bacteria and mold. If you discover mold in a mattress, it might become necessary to trash the mattress, since mold is pretty tough to get rid of. There’s also structural damage you need to watch out for. For example, with time, mattresses can suffer denting in the centre since that is usually where most of the weight of the sleeping person is concentrated. This might not be very noticeable in the first few days or even month, but with a year or two done, you’ll be able to see most mattresses sagging in the middle. Other times, you might find the edges pressed in too much, or even effectively quashed with the shifting in weight every night. This is not harmless; you don’t want your back bending at awkward angles when you lay down. Most mattresses come with a warranty. See if you can have your mattress exchanged by the company. Investing in a new mattress might not be everyone’s cup of tea. Buying a mattress topper often solves the issue for many. As for dirty mattresses, you can vacuum them thoroughly and maybe generously sprinkle some baking soda on it before to dry out any moisture inside that might be helping bacteria and mites thrive, or causing bad smells and discolorations. Whip in some fragrant essential oil to have a relaxing ambient fragrance at night. Don’t put in too much though. There are also professional mattress cleaners you can employ. People don’t buy this. “How can a dirty room make me sleep bad?”, they ask. Well, fact is, it is not the objects themselves that are lying around the room that have an effect on your sleep, but the effect they have on the room. And we don’t mean it in some fancy hocus pocus voodoo sort of way. A dirty room can actually make you feel ill at ease. Squalor is a gold mine for bacteria. The empty box of cheese pizza you put under your bed and then forgot about it will smell of thyme and oregano only so long. In the meantime, there will be all sorts of germs, if not insects, crawling all over it, farting away foul gasses that is going to put you ill at ease in your own room. The wet towel you plopped on the chair after a quick shower will take no time to smell like a wet dog. The dust you allow to collect on the window sill or on the table soon becomes a viable environment for more microorganisms, if not bigger ones like bugs and mice. And you surely know how broken stuff lying around the room can hurt you, right? It doesn’t take very long to clean your room, mate! It takes even little time to clean the place if you do it everyday. Take out the trash, throw away the starbucks cup you carried home last evening (yes, even if it has coffee), put your towel out to dry before plopping into bed, and dust your bed and the area around it everyday. It is also nice to clean your ceiling fans and light fixtures, unless you are fond of dirt dropping on you at unexpected times. Ultimately, you sleep so your body can get rid of tiredness and repair, regenerate and clean itself. Being tired after the day is an important piece of the puzzle. Most people who do little physical activity often complain about sleepless nights and slow mornings. The solution is in nothing other than lifestyle itself. Going to bed with too much energy is a sure-shot way to have trouble sleeping. People with sedentary lifestyles often have this very issue that prevents them from getting enough zs. This compounds for people who also love to eat high calorie diets (because face it, they make us feel nice!). And it’s not just harmful for your figure; having too much energy can lead to enhancement of aggressive tendencies, muddled thinking and other unwelcome behaviors and traits. As much as we hate to exercise, that remains the sole means of redemption if a couch potato lifestyle is causing you to sleep bad and worse. You needn’t join a gym to tire yourself out. Going about doing chores in your home can help you expend your energy pretty effectively. Then, there’s always home fitness regimes like calisthenics or light yoga that can help you move your joints and burn some calories on the side. Plus, if you have an overactive mind that doesn’t let you sleep, yoga and some other meditative practices can really help. If none of that’s your cup of tea, grab your coat and go out for a walk in the park or just roam the market. Does that help you? I hope it does. Let’s quickly go through it all once again. Most people have trouble getting proper and restful sleep due to one of ten reasons that we have identified and listed above. Many don’t have a proper posture while sleeping, which can make things tough for them since the back is not properly relaxed and the centre of gravity of the body is uncomfortably placed. You can correct this by sleeping in healthier postures through conscious effort. The next problem is sleeping at erratic hours. It can really help to sleep at the same time each night. It even reduces stress. Third, people don’t dim the lights properly. You can find better sleep by drawing the curtains, switching off electric appliances with bright indicators and switching off night lights. The fourth issue is being too fond of coffee. Just, don’t. 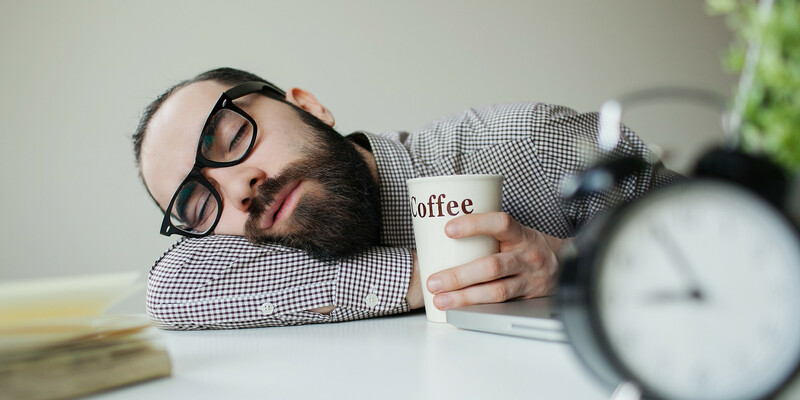 You may have a cup or two in the morning or by lunch, but every hour afterwards becomes more likely to give you a sleepless night with coffee. Next, people keeping their mobile phones nearby can prevent them from fully relaxing. Putting the cellphone in non-transmission mode helps, or you can keep it in a separate room. Wearing tight clothes is sixth. You want to be comfortable when you go to bed, and tight clothing is often the opposite of that. Cotton PJs are your best friends. People who wake up late usually stay groggy the entire day. That’s something to watch out for as well. Eighth and ninth are dirty mattresses and dirty rooms and surroundings. A little leaning every so often can go a long way to ensure you are well rested. And then finally, the tenth issue is people living sedentary lives, which causes people to not just grow paunches, but also have too much energy in their system to fall asleep peacefully. Exercising helps immensely, whether it be at the gym pumping weights or just hustling with chores in the house. I hope this helps you get better rest. I’d love to hear your thoughts in the comment section below. 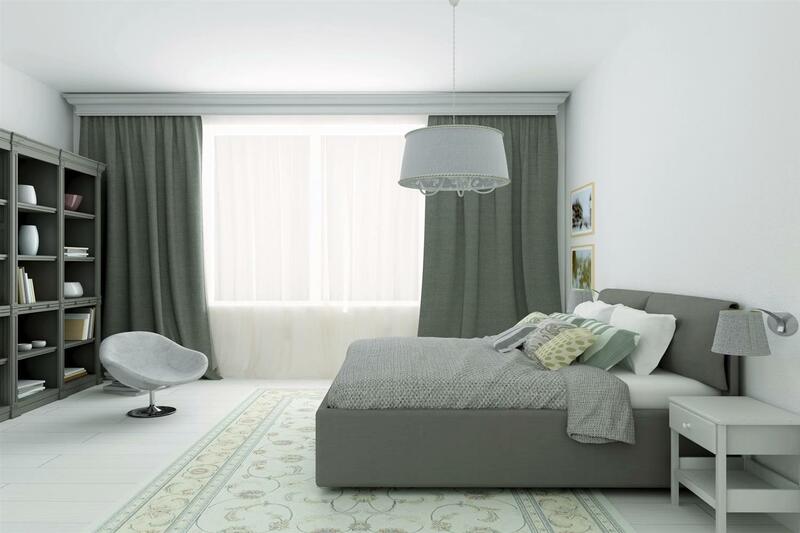 How to design your bedroom for a better sleep? 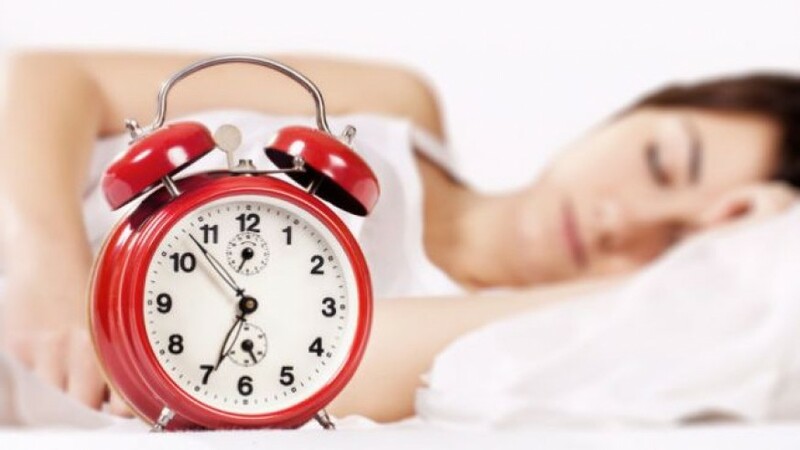 How To Get A Healthy Sleep Naturally?